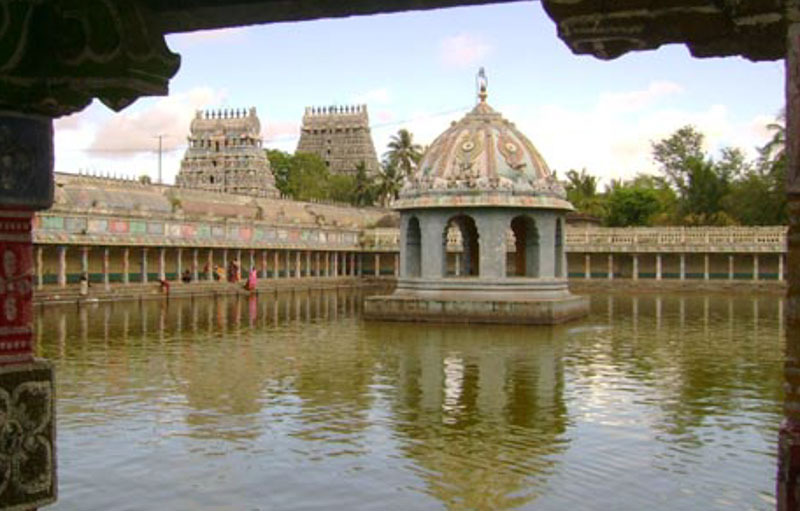 The temple is located 13 Kms from Mayiladudurai towards Sirkazhi, and 6 Kms from Sirkazhi. 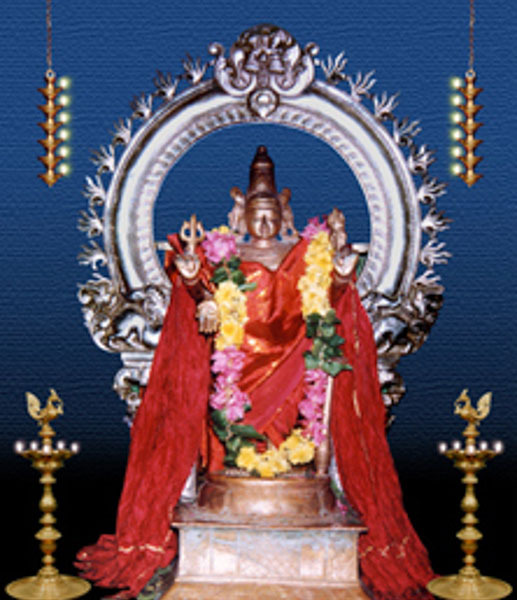 This is known to be the sthalam for the presiding deity Angarakan (Chevvai in Tamil for Planet Mars), one of the nava grahas. However, the main deity in the temple is that of lord Shiva known here as Vaidhyanata swamy who is said to have arrived as a Vaidyan (physician or doctor), heeding to the prayers of Angarakan (Mars) who was suffering from leprosy. Vaidhyanata swamy consort is Thaiyalnayaki. In front of the ambal Thaiyalnayaki sannithi is the holy tank called 'sidhamrutha theertham'. A dip here at the tank is beleived to have a curing effect for all type of ailments, especially skin ailments. Angarakan is said to have bathed here for forty five days to get his leprosy cured. It is customary that devotees buy jaggery and dissolve it in the tank. Another ritual here is to offer salt and pepper to ambal Thayalnayaki. People also offer tiny body parts made of silver sheets to cure of their ailments, like devotees offer, leg or hand to cure ailments of their leg or hand, chest to cure ailments related to respiratory problems. During the night pooja to Sri Selva Muthukumar, a sandal paste along with saffron is applied to the fore head of the Lord called 'Nethra pidi santhanam', and this is considered as a very valuable prasad. Another prasad from Sri Vaidhyanatha swamy called 'Thiru Chandu urundai' are small pellets (urundai) which were beleived to have been given to Angarakan to cure his leprosy. This can be consumed by the devotees.Both these are revered and is said to be medicines for the ailments. Rama and Lakshmana is said to have cremeated Jadayu here after he was killed by Ravana. In the south there is a sepearte shrine for Angarakan. He is seen with his consorts Malini and Suseelini. There is also a shrine to the divine healer, Dhanvantari in this temple. People pray here for removal of Sevvai dosha which generally affects their health, marital happiness, property loss,injuries and other malicious effects. It is beleived that fasting on Tuesdays, and performing abhishekams during rahu kalam, offering red vastras, offering red flowers, coral will please Angarahan and your chevvai doshams are alleviated. 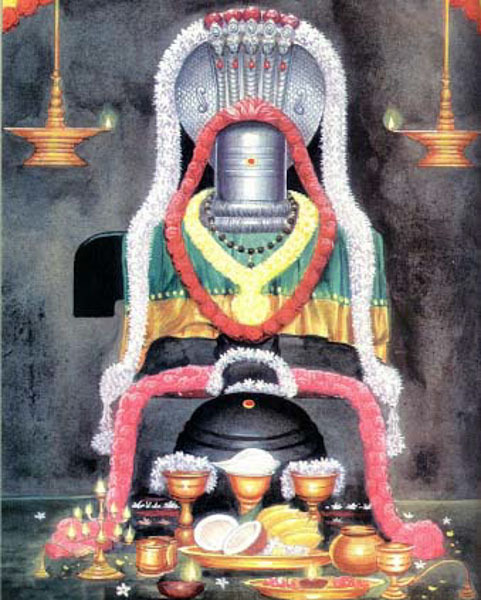 This Shiva Temple is praised in Thevaram and Tirupugazh hymns by saints such as Tirugnana Sambandar, Tirunavukkarasar, Arunagirinathar, Kumara Guruparar, Chidambara Munivar, Ramalinga Adigal, and Kalamega Pulavar . Temple Timings It is normally open from 6 am –1:00pm and 4.00pm- 9:00pm. 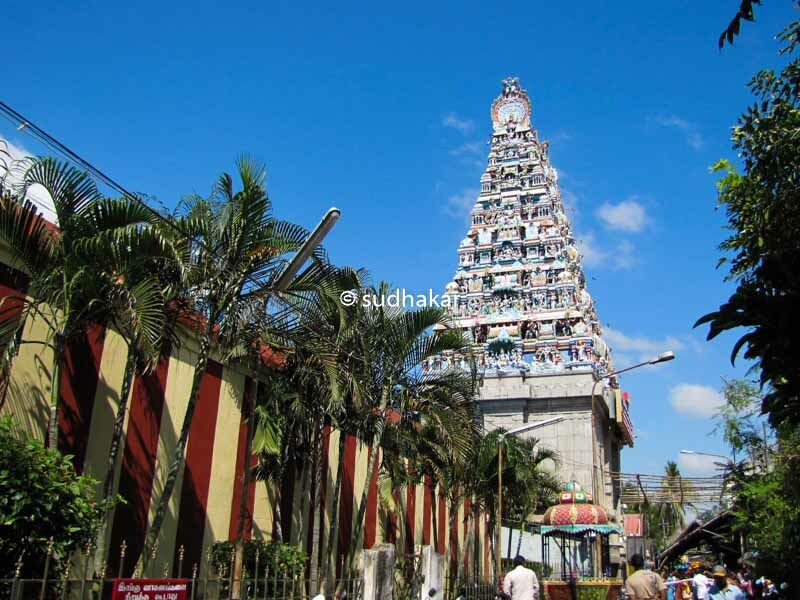 The temple is located 13 Kms from Mayiladudurai towards Sirkazhi, and 6 Kms from Sirkazhi. Plenty of buses are available from Mayavaram, Sirkazhi and Cuddalore. Where to Stay?There are only a few hotels here.It is better to have Mayavaram as your headquarters where you have plenty of budget, semi-deluxe and semi deluxe hotels. If you are day traveller , you can get rooms provided by temple devasthanam. Trivia - Nadi Jothdam You can see plenty of astrologers who have set shops called Nadi Jothidam, a type of astrogy or future prediction using scripts written oo palm scripts. It is based on the belief that the past, present and the future lives of all humans were predicted by Hindu sages in vedic period. Please use your discretion and rationale before approaching and end up paying a lot of money. Places nearbyMayavaram, Sirkazhi, Cuddalore, Karaikal where there are many important temples to be visited.